1 Macfarlane PW, Lawrie TDV, eds. Comprehensive Electrocardiology: Theory and Practice in Health and Disease. New York: Pergamon Press; 1989. 2 Myerburg RJ, Castellanos A. Resolution of nonspecific repolarization patterns from body surface signals: A new horizon of clinical electrocardiography. J Am Coll Cardiol 1989; 14:703-704. 3 Einthoven W, Fahr G, de Waart A. uber die Richtung und die manifeste Grosse der Pontetialschwankungen in menchlichen Herzen und uber den Einfluss der Herzlage auf die Form des Elecktrokardiogramms. Arch Physiol 1913; 150:275-315. 4 Task Force Report of the American College of Cardiology and the American Heart Association. ACC/AHA Guidelines for Electrocardiography. Circulation 1992; 19:473-481. 5 Castellanos A, Myerburg RJ. Electrocardiography. In: Schlant RC, Alexander RW, Lipton MJ, eds. Diagnostic Atlas of the Heart. New York: McGraw-Hill; 1996. 6 Sodi-Pallares D, Calder RM. New Bases of Electrocardiography. St. Louis: Mosby; 1956:169, 373. 7 Sodi-Pallares D, Medrano GA, Bisteni A, et al. Deductive and Polyparametric Electrocardiography. Mexico City: Inst Nac Cardiol Mexico; 1970:36, 136. 8 Rosenbaum MB, Elizari MV, Lazzari JO. The Hemiblocks. Oldsmar, FL: Tampa Tracings; 1970. 9 Lipman BS, Massie E, Kleiger RE. Clinical Scalar Electrocardiography, 6th ed. Chicago: Year Book Medical Publishers; 1972:210-215. 10 Schamroth L. The Electrocardiology ofCoronary Artery Disease, 2d ed. Oxford, England: Blackwell Scientific; 1984. 11 Marriott HJL. Practical Electrocardiography, 8th ed. Baltimore: Williams & Wilkins; 1988. 12 Cabrera E, Gaxiola A. Teoria y Practica de la Electrocardiografía, 2d ed. Mexico City: La Prensa Medica Mexicana; 1966. 13 Barker JM. The Unipolar Electrocardiogram: A Clinical Interpretation. New York: Appleton-Century-Crofts; 1952. 15 Castellanos A, Myerburg RJ. The Hemiblocks in Myocardial Infarction. New York: Appleton-Century-Crofts; 1976. 16 Castellanos A Jr, Lemberg L. A Programmed Introduction to the Electrical Axis and Action Potential. Oldsmar, FL: Tampa Tracings; 1974:34, 114. 17 Wilson FN, MacLeod AG, Barker PS, et al. The determination and significance of the areas of the ventricular deflections of the electrocardiogram. Am Heart J1934; 10:46-61. 18 Rosenbaum MB, Blanco HH, Elizari MV, et al. Electrotonic modulation of ventricular repolarization and cardiac memory. In: Rosenbaum MB, Elizari MV, eds. Frontiers of Cardiac Electrophysiology. Boston: Martinus Nijhoff; 1983:67-99. 21 Bayley RH. An interpretation of injury and the ischemic effects of myocardial infarction in accordance with the laws which determine the flow of electric current in homogenous volume conductors and in accordance with relevant pathologic changes. Am Heart J1942; 24:514-528. 24 Janse MJ. Electrophysiology and electrocardiology of acute myocardial ischemia. Can J Cardiol 1986; 2(suppl A):46A-52A. 25 Tzivoni D, Chenzbraun A. The significance of ST abnormalities in myocardial infarction. 28 Wasserburger RH, Alt WJ. The normal RS-T segment elevation variant. Am J Cardiol 1961; 8:184-192. 29 Goldberger AL. ST-segment elevation: normal variants: Benign (functional ST-segment elevation, "early repolarization variant." In: Goldberger AL, ed. Myocardial Infarction: ECG Differential Diagnosis, 3d ed. St. Louis: Mosby; 1984:1970-1978. 34 Fujiki A, Usui M, Nagasawa H, et al. ST segment elevation in the right precordial leads induced with class IC antiarrhythmic drugs: Insight into the mechanism of Brugada syndrome. 35 Fontaine G, Fontaliran F, Lascault P, et al. In: Zipes DP, Jalife J, eds. Cardiac Electrophysiology: From Cell to Bedside, 2nd ed. Philadelphia: Saunders; 1995:754-768. 41 Rahimtoola SH. A perspective on the three large multicenter randomized clinical trials of coronary bypass surgery for chronic stable angina. Circulation 1985; 72(suppl 5):123-135. 43 Dunn MI, Starr SK. False-positive electrocardiographic findings mimicking myocardial infarction. ACC Curr J Rev 1993; Nov/Dec:74-76. 45 Fisch C. Electrocardiography and vectorcardiography. In: Braunwald E, ed. 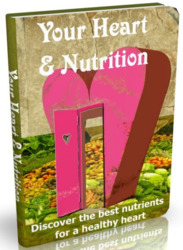 Heart Disease, 4th ed. Philadelphia: Saunders; 1992:116-160. 46 Friedberg CK, Zager A. Nonspecific ST and T-wave changes. Circulation 1961; 23:655-661. 47 Spodick DH. Q wave infarction versus SS-T infarction: Nonspecificity of electrocardiographic criteria for differentiating transmural and nontransmural lesion. Am J Cardiol 1983; 913-915. 48 Gersh B, Rahimtoola SH. Acute Myocardial Infarction. New York: Elsevier; 1991:144. 49 Bayes de Luna A. Clinical Electrocardiography: A Textbook. Mt. Kisco, NY: Futura; 1993:450. 50 Califf RM, Mark DB, Wagner GS. Acute Coronary Care in the Thrombolytic Era. Chicago: Year Book Medical Publishers; 1988. 51 Shah PK, Zahger D, Ganz W. Streptokinase in acute myocardial infarction. In: Francis GS, Alpert JS, eds. Coronary Care, 2d ed. Boston: Little, Brown; 1995:409-450. 53 Veldkamp RF, Simoons ML, Pope JE, et al. Continuous multilead ST-segment monitoring in acute myocardial infarction. In: Clements IP, ed. The Electrocardiogram in Acute Myocardial Infarction. Mt. Kisco, NY: Futura; 1998. 54 Goodman S. Q wave and non-Q wave myocardial infarction after thrombolysis (Letter). J Am Coll Cardiol 1996; 27(7):1817-1819. 55 Sclarovsky S. Acute ischaemic syndrome: The pre-infarction ischaemic syndrome. In: Sclarovsky S, ed. Electrocardiography of Acute Myocardial Ischaemic Syndromes. London: Martin Dunitz; 1999:31-63. 56 Grant RP. Spatial vector electrocardiography: A method for calculating the spatial electrical vectors of the heart from conventional leads. Circulation 1950; 2:676-695. 57 Grant RP, Estes EH Jr. Spatial Vector Electrocardiography. New York: Blakiston; 1951. 59 Wagner GS. Marriott's Practical Electrocardiography, 9th ed. Baltimore: Williams & Wilkins; 1994:141. 60 Braat SH, Brugada P, den Dulk K, et al. Value of lead V4R for recognition of the infarct coronary artery in acute inferior myocardial infarction. Am J Cardiol 1984; 53:1538-1541. 61 Castellanos A, Pina IL, Zaman L, et al. Recent advances in the diagnosis of fascicular blocks. 62 Rosenbaum MB, Corrado G, Oliveri R, et al. Right bundle branch block with left anterior hemiblock surgically induced in tetralogy of Fallot. Am J Cardiol 1970; 26:12-19. 63 Cohen SI, Lau SH, Stein E, et al. Variations of aberrant ventricular conduction in man: Evidence of isolated and combined block within the specialized conduction system. 66 Rosenbaum MB, Elizari MV, Lazzari JO. The differential electrocardiographic manifestations of hemiblocks, bilateral bundle branch blocks and trifascicular blocks. In: Schlant RC, Hurst JW, eds. Advances in Electrocardiography. New York: Grune & Stratton; 1972:145-161. 67 Rosenbaum MB, Elizari MV, Lazzari JO, et al. The clinical causes and mechanisms of intraventricular conduction disturbances. In: Schlant RC, Hurst JW, eds. Advances in Electrocardiography. New York: Grune & Stratton; 1972:183-220. 68 Grant RP. Peri-infarction block. Prog Cardiovasc Dis 1959; 27:237-247. 69 Oppenheimer BS, Rothschild MA. Electrocardiographic changes associated with myocardial involvement: With special reference to prognosis. JAMA 1917; 69:429-431. 70 Castle CH, Keane WM. Electrocardiographic "peri-infarction block": A clinical and pathologic correlation. Circulation 1965; 31:403-408. 71 Cotne RA, Parkin TW, Brandenburg RO, et al. Peri-infarction block: Postmyocardial-infarction intraventricular conduction disturbance. Am Heart J1965; 69:150-153. 72 First SR, Bayley RH, Bedford DR. Peri-infarction block. Circulation 1950; 2:31-36. 73 Wilson FN, Herrmann GR. Bundle branch block and arborization block. Arch Intern Med 1920; 26:153-191. 74 Wilson FN, Hill IGW, Johnston FD. The form of electrocardiogram in experimental myocardial infarction: III. The later effects produced by ligation of the anterior descending branch of the left coronary artery. Am Heart J1935; 10:903-915. 75 Castellanos A Jr. Diagnosis of left anterior hemiblock and left posterior hemiblock in the presence of inferior wall myocardial infarction. Bull NY Acad Med 1971; 47:923-930. 76 Jacobson LB, Scheinman M. Catheter-induced intra-Hisian and intrafascicular block during recording of His bundle electrograms: A report of two cases. Circulation 1974; 49:579-584. 77 Luck JC, Engel TR. Transient right bundle branch block with "Swan-Ganz" catheterization. 78 Narula OS. Longitudinal dissociation in the His bundle: Bundle branch block due to asynchronous conduction within the His bundle in man. Circulation 1977; 56:996-1006. 80 Scherlag BJ, El-Sherif N, Hope RR, et al. The significance of dissociation of conduction in the canine His bundle: Electrophysiological studies in vivo and in vitro. J Electrocardiol 1978; 4:343-354. 84 Wilson FN, Herrmann GR. An experimental study of incomplete bundle branch block and of the refractory period of the heart of the dog. In: Johnston FD, Lepeschkin E, eds. Selected Papers of Dr. FrankN. Wilson. Ann Arbor, MI: Edwards Brothers; 1954:749-810. 85 Barker JM, Valencia F. The precordial electrocardiogram in incomplete right bundle branch block. In: Johnson FD, Lepeschkin E, eds. Selected Papers of Dr. Frank N. Wilson. Ann Arbor, MI: Edwards Brothers; 1954:884-914. 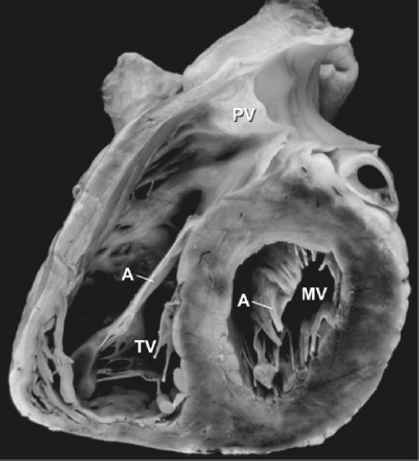 86 Blount SG, Munyan EA Jr, Hoffman MS. Hypertrophy of the right ventricular outflow tract: A concept of the electrocardiographic findings in atrial septal defect. Am J Med 1957; 22:784790. 87 Moore EN, Hoffman BF, Patterson DF, et al. Electrocardiographic changes due to delayed activation of the wall of the right ventricle. Am Heart J1964; 68:347-361. 90 Pickoff AS, Wolff GS, Tamer D, et al. Arrhythmias and conduction system disturbances in infants and children: Recent advances and contributions of intracardiac electrophysiology. In: Castellanos A, Brest AN, eds. Cardiac Arrhythmia-Mechanisms and Management. Cardiovasc Clin 1980; 11:203-219. 92 Sgarbossa EB. Recent advances in the electrocardiographic diagnosis of myocardiol infarction: Left bundle branch block and pacing. PACE 1998; 21:120-131. 93 Kindwall KE, Brown JP, Josephson ME. Predictive accuracy of criteria for chronic myocardial infarction in pacing-induced left bundle branch block. Am J Cardiol 1986; 57:1255-1260. 95 Wolff L, Parkinson J, White PD. Bundle-branch block with short P-R interval in healthy young people prone to paroxysmal tachycardia. Am Heart J1930; 5:685-704. 97 Rosenbaum FF, Hecht HH, Wilson FN, et al. The potential variations of the thorax and esophagus in anomalous atrioventricular excitation (Wolff-Parkinson-White syndrome). Am Heart J1945; 29:281-326. 98 Wallace AG, Sealy WC, Gallagher JJ, et al. Ventricular excitation in Wolff-Parkinson-White syndrome. In: Wellens HJJ, Lie KI, Janse MJ, eds. The Conduction System ofthe Heart: Structure, Function and Clinical Implications. Leiden: HE Stenfert Kroese; 1976:613-630. 99 Befeler B, Castellanos A, Castillo CA, et al. Arrival of excitation at the right ventricular apical endocardium in Wolff-Parkinson-White syndrome type B. Circulation 1973; 48:655-660.